Dealing with the ongoing crisis at Boston’s paediatric service is estimated to cost the trust which runs Lincolnshire’s hospitals between £1 million and £4 million. United Lincolnshire Hospitals Trust is currently taking measures to maintain the service at Pilgrim Hospital after putting it under review because of serious staffing shortages. This plan for the service includes an ‘interim-model’ to keep the children’s ward open from August and contingency plans to provide additional space at Lincoln County Hospital if the plan fails. It means the service will be run with the back-up of short-term agency staff, many on occasional shifts, but funding has also been approved for two additional locum doctors. Members of the ULHT’s executive met to discuss the situation at Pilgrim Hospital today. According to the trust’s own financial reports, ULHT has planned for a £1 million risk on paediatrics within its deficit plan for 2018/19. But, director of finance at the trust, Karen Brown, said the final number could be more than that. She said that anything above a £1 million cost would be “adverse” to ULHT’s financial plan. 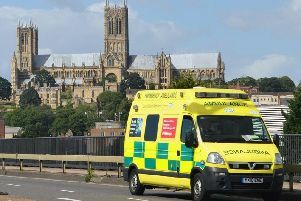 The figure would include further financial commitments over the next year, such as private ambulances and agency staff. Dr Neil Hepburn, medical director at the trust, said that the cost is the “envelope” which health bosses have to work within. He said the aim for members of the board is to keep patients safe. “That’s our first task,” he said. “We do need to do it appropriately bearing in mind the cost to the taxpayer, but its safety first. Boston MP, Matt Warman, said that “money is not the issue” when it comes to managing the situation at Pilgrim. “If we need additional resources, then those resources will be found,” he said. “That’s because this is ultimately about children and mother’s lives and we have to make sure that those comes first.